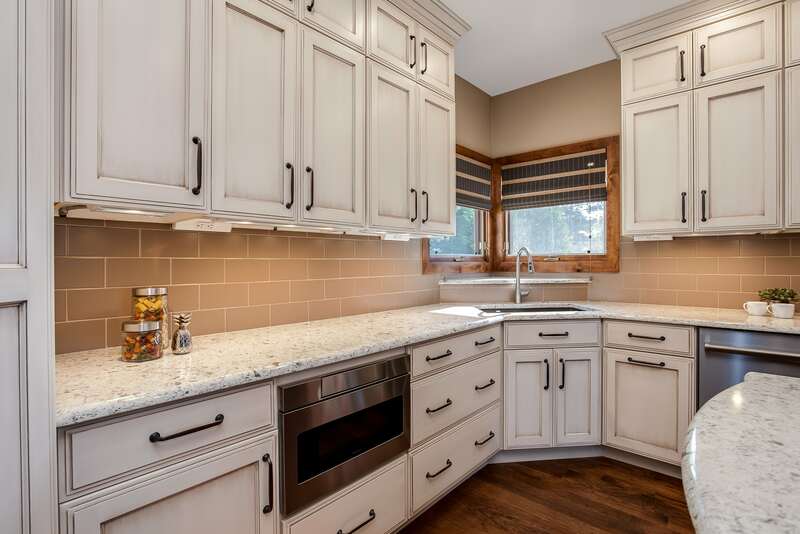 Maintaining your new kitchen not only will increase the useful life of cabinets, appliances, and floor and wall coverings; regular maintenance also will greatly enhance your enjoyment of the space. With proper care, our laminate products will last a lifetime. Generally, a damp sponge is all you need for everyday maintenance of laminate surfaces. Use a soft cloth to wash the surface with warm water and mild dishwashing detergent. Rinse with warm water and dry with a soft cloth. Use an all-purpose cleaner or bathroom cleanser to remove spots and stains. Mix baking soda and water to create a paste. Use a soft bristle brush to gently rub the spot in a circular motion. The paste will be slightly abrasive, so work carefully, pressing very lightly. Rinse and dry with a soft cloth. Repeat the process as long as you’re making progress. If the stain remains, use undiluted household bleach; the label should read 5% solution of sodium hypochlorite. Take special care to protect your eyes, skin, and clothing. Apply the bleach using a wet sponge or paper towel, place it on the stain and let sit for no longer than one and a half minutes. Rinse repeatedly with warm water and dry with a soft cloth. Occasionally use mineral or vegetable oil to reseal and help preserve your block. Reseal only the area on which you frequently cut. Upon years of heavy use, it may become necessary to refinish the block. Sand off the finish and reseal using either a mineral or vegetable oil or with “Good Stuff” Urethane Gel clear protective finish. 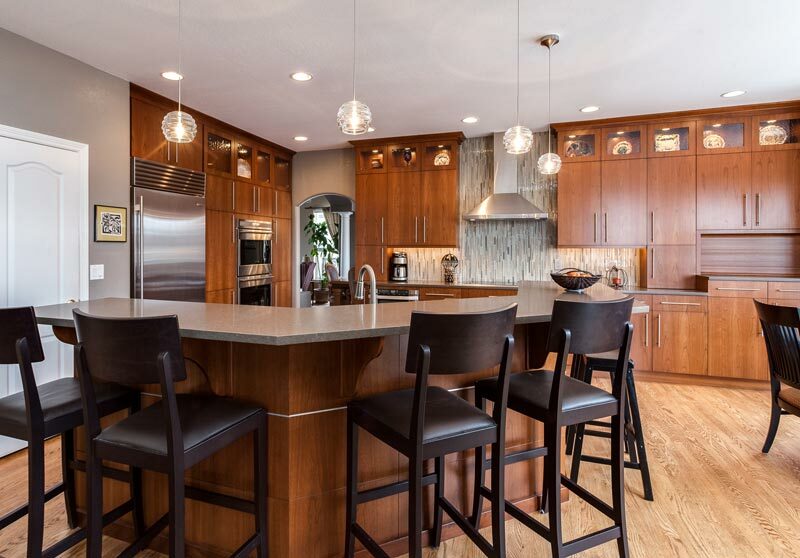 With proper care, Crystal cabinetry will provide a lifetime of use and satisfaction. Proper care includes providing a wood-friendly environment. Many of the internal environmental issues that affect human comfort also contribute to a wood healthy environment. Specifically, controlled temperature and humidity with minimal changes from day to day and season to season will ensure your comfort and they will ensure the stability and life of your wood cabinetry. • Repeated short-term exposure to excessive moisture such as splashing of surfaces from a sink or even a single longer term event such as flooding WILL result in irreversible damage to wood cabinetry. • Steam, as from cooktops, crock pots and improperly sealed dishwasher doors, can cause problems as well. • Avoid direct high heat and instead, use fans and dehumidifiers and moisture absorbing cloth and compounds. • Immediate attention reduces the amount of damage and also reduces the likelihood of mold and mildew. • Wood expands as humidity increases and shrinks as humidity decreases. • Even finished wood will change with long-term changes in humidity. • Finishes and other coatings such as laminate or foil temper humidity swings by slowing the transfer of moisture. • They do not stop it entirely. • Solid wood will dimensionally change more across the grain than with grain. • Plywood, particleboard, and fiberboard are more dimensionally stable. • Particleboard and fiberboard, exposed to water directly, will expand in thickness quickly and dramatically. • As wood expands (swells) and contracts with changes in humidity, the finish at joints will crack. • This cracking is universal but is much more evident on light colored paint than on stains or dark paints. • Regardless, this is the nature of product made from wood and not a reason for replacement. • Where humidity exposure is uneven, pieces may warp, cup or bow. • Most often, if the humidity level is returned to a normal level and maintained for a period of time, these issues will disappear. • Extremely dry conditions can result in wood parts splitting and/or cracking in addition to shrinkage as described above. • The optimal humidity level is 35% to 50% relative humidity. • Extreme conditions (lower than 20% or higher than 80%) especially need to be avoided. Humidity Continued (Dryness) While most focus is on too wet (damp) or too humid conditions, too dry conditions can be equally damaging to cabinetry. • Extreme dry conditions can lead to cracking in solid wood components. • Under dry conditions, the insert panels in panel doors will shrink and the panel edges will be exposed. • The exposed, unfinished panel edges will not match the finished surface of the rest of the panel and door. • This is not a reason for a replacement but is instead an indication that humidity levels are too low and need to be remedied. • Temperature variation can cause some of the same problems as humidity variation and the two are often interrelated. • Temperature increases cause materials to expand. • Temperature decreases cause materials to contract or shrink. • Sudden temperature changes cause more dramatic material changes. • More likely to lead to cracking, and splitting in solid wood. • More likely to lead to warping, cupping and bowing in any wood components. • Use dehumidifiers and/or air conditioners in summer to control excess humidity. • Use a humidifier to keep the air from becoming too dry in winter. • Maintain climate control during the offseason of vacation homes to reduce the risk of damage. • Prior to installation of new cabinets, acclimate the cabinetry by moving it into the room it will be in when done. • This should be done well in advance of the installation. • If this is not possible, use an adjoining room of similar climate conditions. • Do not store in a garage, basement or other unheated or unconditioned space prior to installation. • Adequate and proper ventilation and air exchange. Remember: Properly controlling temperature and humidity inside the house is healthier for the inhabitants as well as for the cabinetry and furniture within. 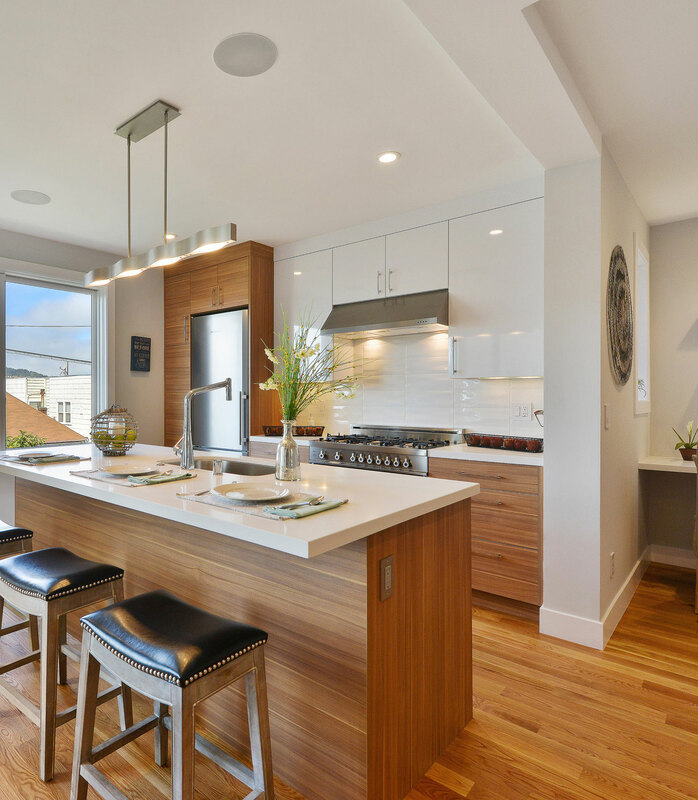 These basic maintenance tips help our clients enjoy their new kitchens for many years. Do you have a kitchen maintenance question? Give us a call or visit one of our showrooms, our kitchen experts are happy to help.